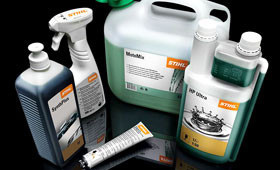 STIHL oils and lubricants have been specially developed with STIHL tools in mind. Our fuels and lubricants get the best possible acceleration and service life from our engines. They combust with low residue and avoid deposits while delivering exceptional lubrication.